Since June 2018 Australia and the European Union have been negotiating a Free Trade Agreement. Potential Benefits of an Australia-EU Free Trade Agreement: Key Issues and Options, edited by ASR President Jane Drake-Brockman, offers insights from recognised experts in the field, from Australia, Europe and Asia, on the potential economic benefits to be reaped from greater economic openness. It addresses issues of direct relevance to both negotiating teams as well as policy makers, academics, and business leaders across Australia and the European Union. The book covers 21st century topics such as regulatory cooperation, global value chain connectivity and digital trade. Professional services, audiovisual services, financial services, investment, investor-state dispute settlement and government procurement are explored in depth; as is agriculture and food. 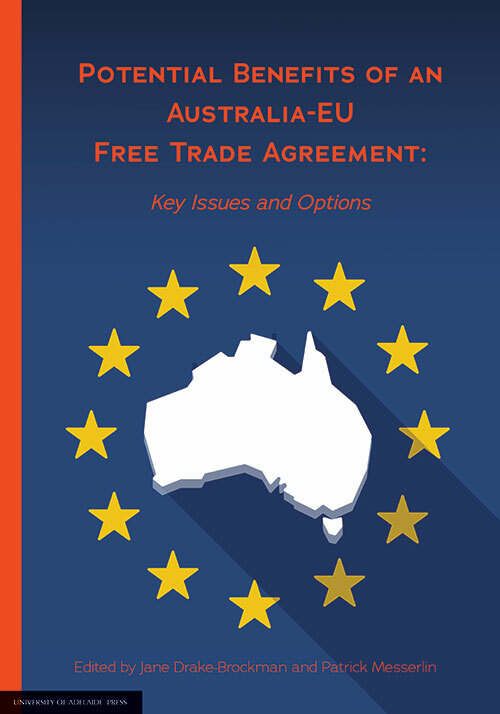 Potential Benefits of an Australia-EU Free Trade Agreement: Key Issues and Options may be read as a free e-book or purchased as a paperback by visiting the University of Adelaide website.